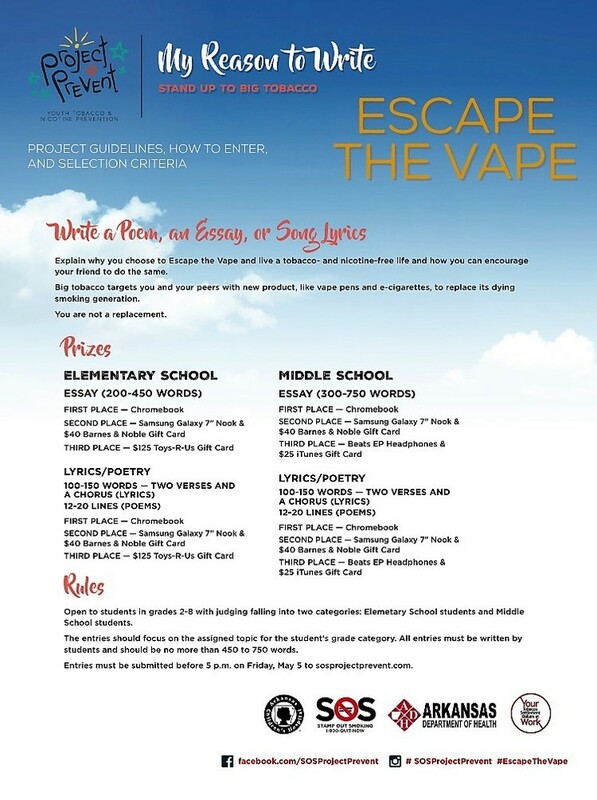 Please encourage your children and students (2nd-8th grades) to participate in this contest! Winners will be awarded prizes!! (See Flyer for the list of prizes). Submissions can be entered in at: http://www.sosprojectprevent.com/My-Reason-to-Write/or can be scanned and emailed to smorris@bartonsd.org. Also, if requested, the Barton-Lexa School's Tobacco Prevention Coordinator, Stacey Morris can come pick them up. Call 870-572-7294 x 1200, or email smorris@bartonsd.org for further information or questions.